수원시국제교류센터는 제55회 수원화성문화제 기간 동안 ‘국제자매도시의 밤’을 주최하여 지난 10월 5일부터 3박 4일 동안 초청공연단과 함께 공연 및 문화교류 일정을 성공적으로 마쳤습니다. 제6회를 맞이하는 올해의 ‘국제자매도시의 밤’에는 독일 프라이부르크, 대만 가오슝, 일본 아사히카와, 러시아 니즈니노브고로드, 터키 얄로바 및 대한민국 수원이 참여하여 수원시민들에게 세계 각국의 아름다운 전통무용을 선보였습니다. 수원시민들 또한, 갑작스러운 태풍으로 인해 공연 장소가 바뀌는 불편함이 있었음에도 불구하고, 공연장을 가득 채우며 높은 관심으로 전통공연단을 환영해 주었습니다. 일본 아사히카와 시의 리드미컬하고 웅장한 타이코(일본 전통 타악기) 연주로 막을 연 제6회 ‘국제자매도시의 밤’은, 러시아의 다채로운 의상을 감상할 수 있었던 아름다운 공연과 터키의 절도있는 전통무용, 아크로바틱으로 표현한 독일의 현대와 전통이 결합한 공연과 대만 가오슝의 의례·의식과 일상생활을 주제로 한 편안하고 엄숙한 공연에 이어 한국의 상모놀이, 소고춤과 사물놀이로 끝까지 관객들의 흥을 돋우며 성황리에 막을 내렸습니다. 공연이 끝난 이후에도 시민들을 무대 위로 모셔 함께 사진을 찍는 등 활발한 문화교류가 이뤄지는 모습을 볼 수 있었습니다. 또한, 수원을 방문한 자매도시 전통공연단은 10월 7일에 열린 정조대왕 능행차의 ’자매도시퍼레이드&apos;에 참여해 시민과 자국의 전통예술을 함께 나누는 시간을 가졌습니다. 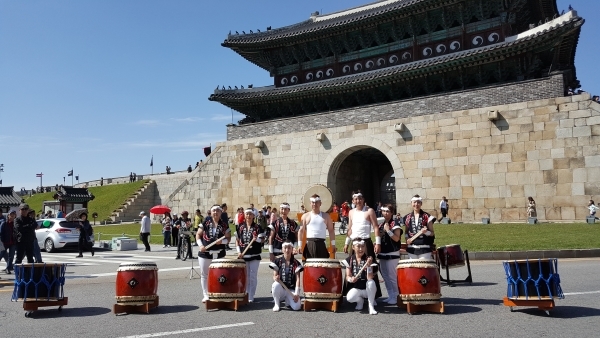 During the 55th Suwon Hwaseong Cultural Festival, Suwon Center for International Cooperation(SWCIC) held ‘The Night for International Sister Cities’ from October 5 to 8, The SWCIC finished the event and cultural exchange schedule successfully with the international performance teams. The Night for International Sister Cities marks the 6th anniversary this year and performance teams from Freiburg Germany, Gaoxiong Taiwan, Asahikawa Japan, Nizhny Novgorod Russia, Yalova Turkey and Suwon Korea participated in this event. They showed beautiful traditional dance of each country to Suwon citizen. Because of sudden typhoon, performance location changed from outdoors to indoors, however Suwon citizen filled the concert hall and welcomed dance performance teams. The Night for International Sister Cities started with rhythmical and grand Taiko(Traditional Japan percussion) performance of team Asahikawa. Moreover, colorful clothes and beautiful performance of Russia, restrained traditional dance of Turkey, combination of modern and traditional acrobatic dance of Germany, daily life and ritual-themed solemn performance of Taiwan and traditional percussion quartet of Korea. all the teams made joyful atmosphere, and the performance ended in great success. After performance, citizens came up to the stage and took photos with performance teams. 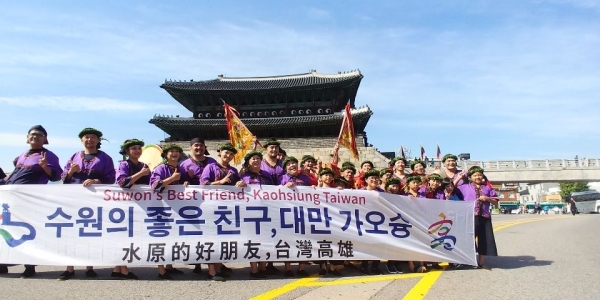 In addition, all of the performance teams participated in street parade on October 7 and had a valuable time to show their traditional dance to Suwon citizen.